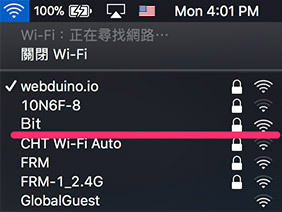 Initialization of Webduino Bit is important in order to enable its automatic connection with internet or local intranet through WebSocket.The device SSID and password of the board can be set in initialization, and the remote upgrade can also be implemented as well. Power Webduino Bit board,it works as hotspot, the red LED flickers and then turns to constant on. 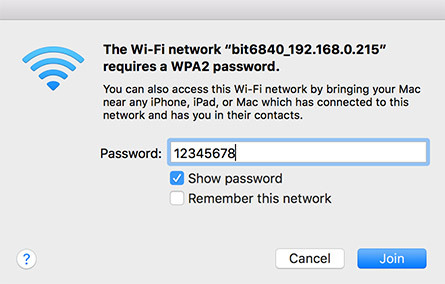 Use a device with wifi such as computer,laptop to search wifi hotspot,a device with Bit will be discovered. 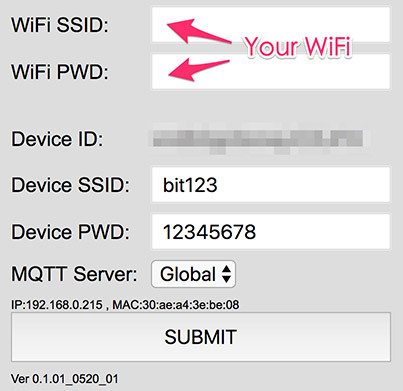 Open browser(Chrome is recommended) and enter in URL : 192.168.4.1 to connect with Bit board.On the setup panel, besides the necessary settings of WiFi SSID and PWD, user can also set the name and password of the board(to avoid other connecting with your device using 12345678).Device ID is unique and can not be changed. The Server option at the bottom can configure the server location, it’s Global by default, please set it to China if in China. 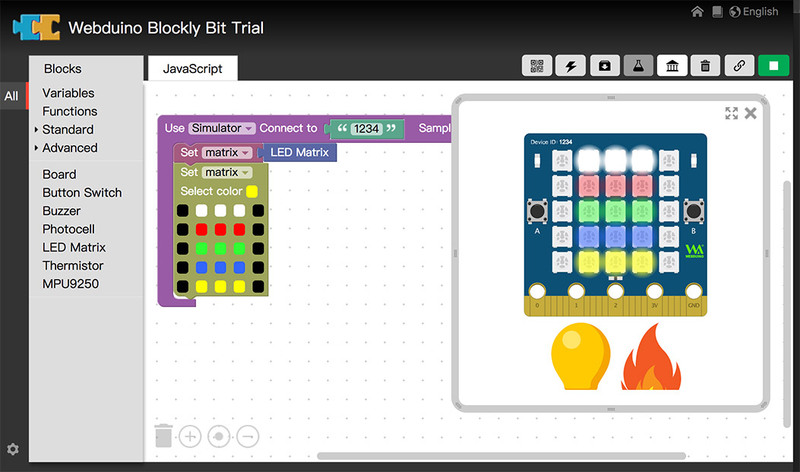 With regard to test the development board, open the below samples in Webduino Blockly, input the right Device ID and click the red button on the upper right to run,the red button turns to green when it runs,and a RGB 3-color diamond-shaped picture will display on the board. 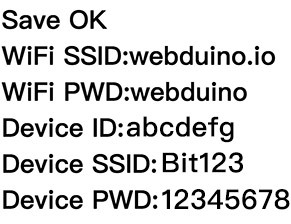 If users want to experience webduino bit without a development board at hand, the below sample can also be ran with simulator,there’s a virtual Webduino Bit board in the simulator, the Device ID is 1234. A RGB 3-color diamond-shaped picture will be shown on the virtual board in the simulator area when it runs.